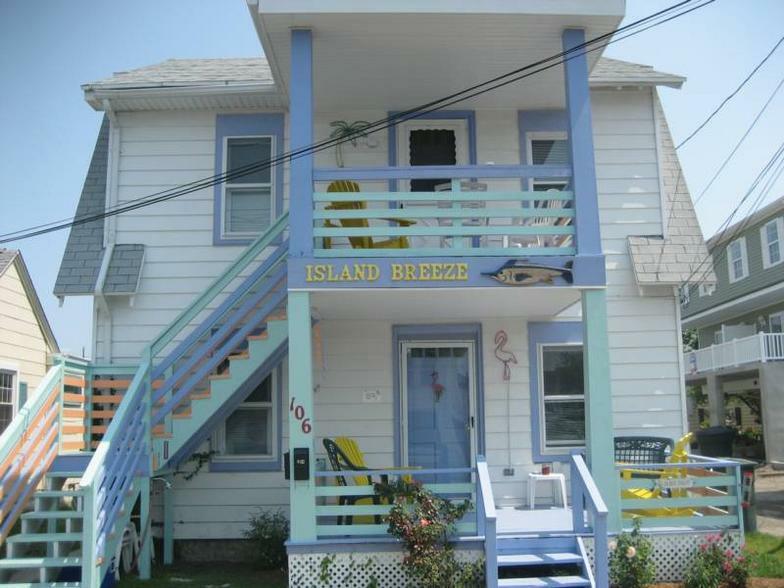 Thank you for considering our vacation home "Island Breeze" for your next Ocean City, MD vacation. The two unit home was built in 1926 and is located in Old Towne Ocean City. Its many original features as well as beachy decor give a real old Ocean City feel, and offer a great alternative to your typical cookie cutter hotel. The 8th street location is very convenient to all of Ocean City, and is just one block from the famous boardwalk and beach. We invite you to take a look around the site and give us a call with questions or to book your next vacation!